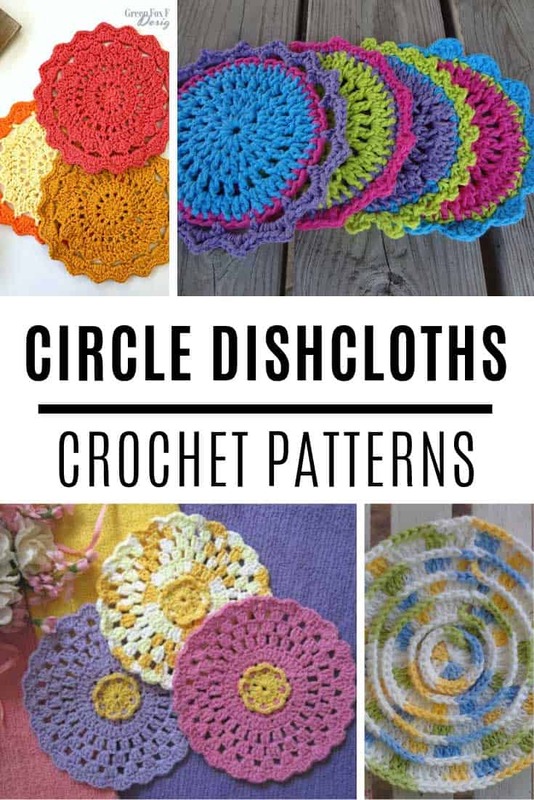 These circle dishcloth crochet patterns are easy to make and they’re all free! Simple projects ways to brighten up your kitchen! 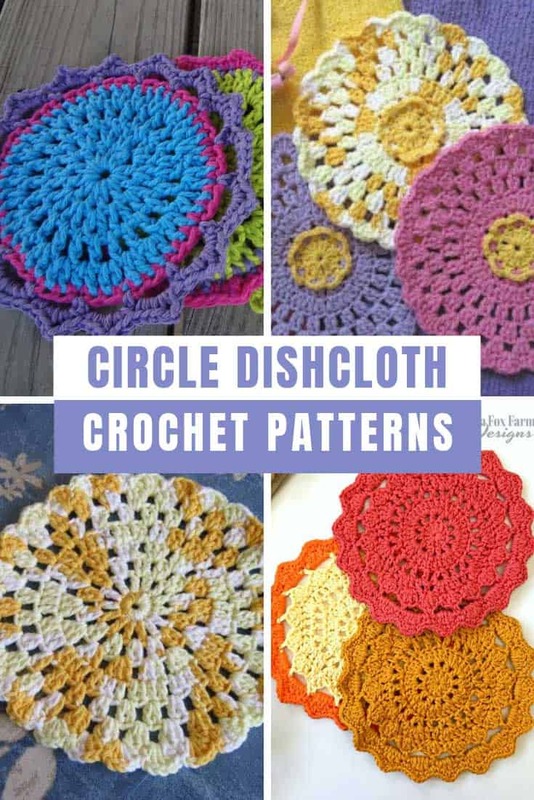 This week we’ve been all about the dishcloth crochet patterns because they’re quick and easy projects and a great way to liven up your kitchen without costing the earth! 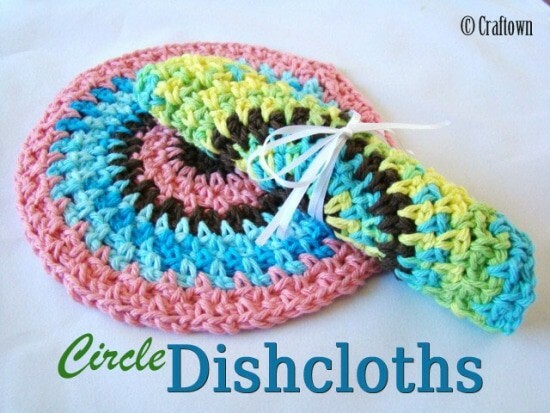 So far all the patterns I’ve shared have been square, so today I’ve got some circle dishcloths to show you. You know just to mix things up a bit, and because they’re the perfect way to practice making something round! 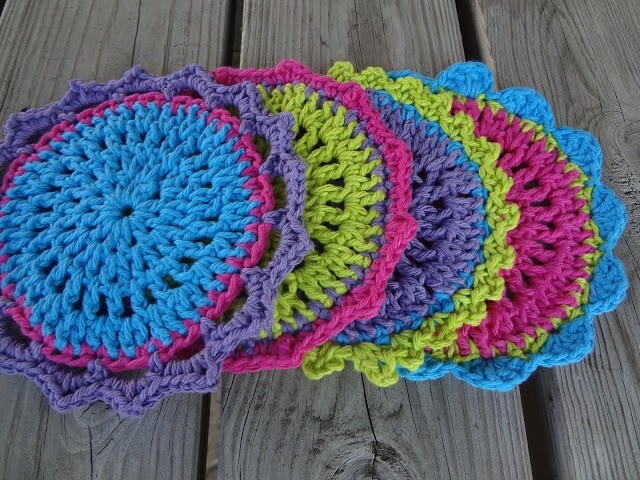 If you’re looking for handmade gift ideas for your child’s teacher or for a housewarming these dishcloths are perfect, just pair them with your favorite soap. 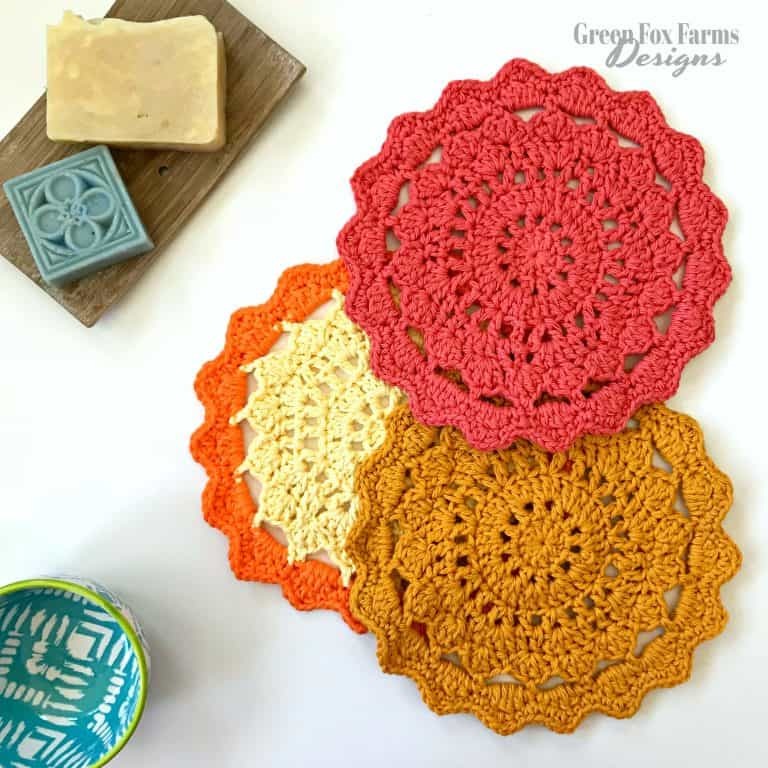 This dishcloth pattern jumped out at me because they are so bright and colorful, and I love how you can make a mix and match set with the four different edgings! 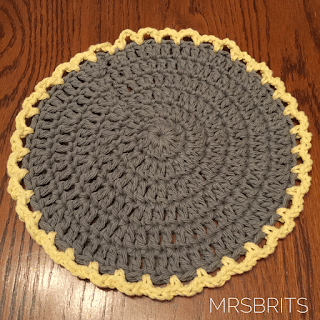 If you want to practice your edging skills before you try them out on something larger like an afghan making a dishcloth is the perfect way right! If you want to have a go at striping in a circle try this easy pattern and let your creativity run wild as you switch the colors! Since we’re planning on cleaning dishes with these cloths I had to share this one because I bet those ridges are perfect for cleaning up anything stubborn! If you have a country style kitchen you should take a look at this vintage rose pattern. The center rose effect can be a bit tricky to master but there are tons of photos to show you exactly how to do it! 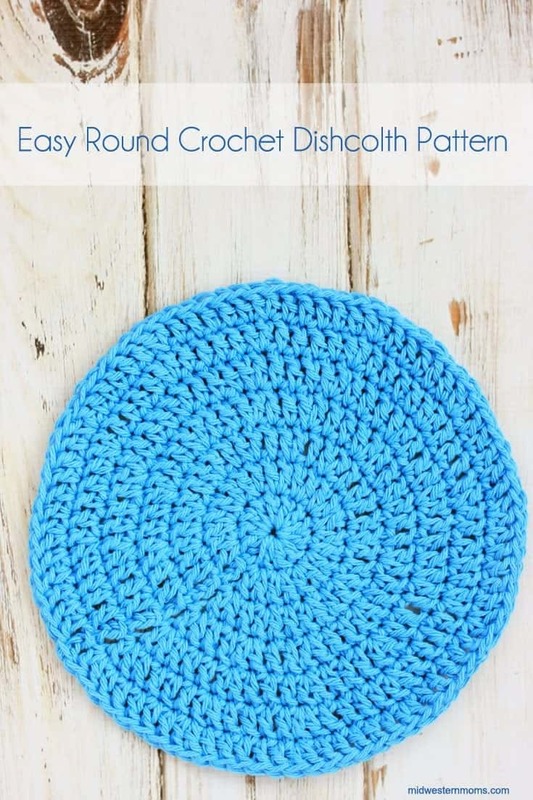 If you’re a beginner or you’ve never crocheted anything in the round before this is the pattern you need to start with because it’s really simple. 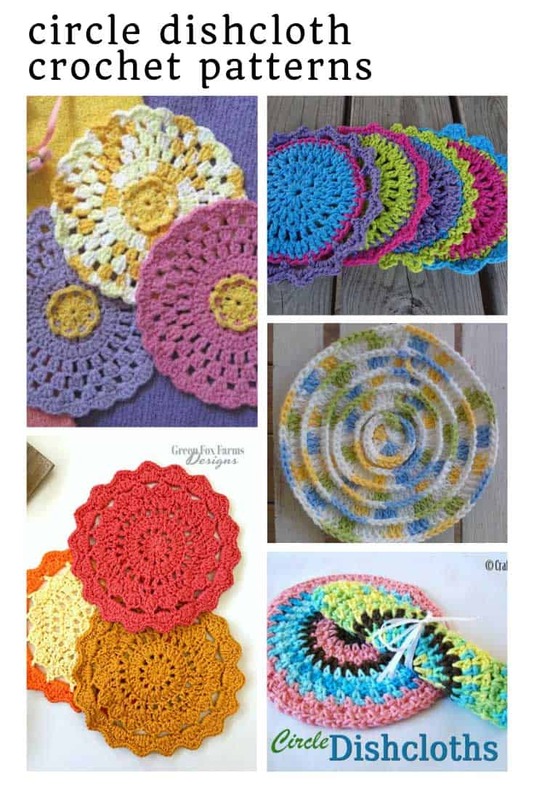 If you love Granny Square’s you’ll love this round dishcloth because it’s very granny-esque! Choose pastel colors for a vintage feel or bright and vibrant ones to suit a more modern kitchen! 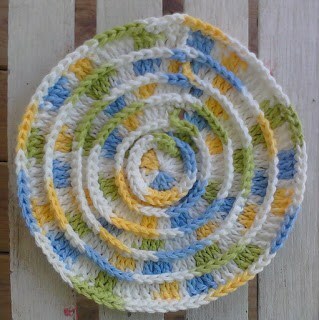 If you like to make crochet products for sale then you can use this pattern to work up some dishcloths. 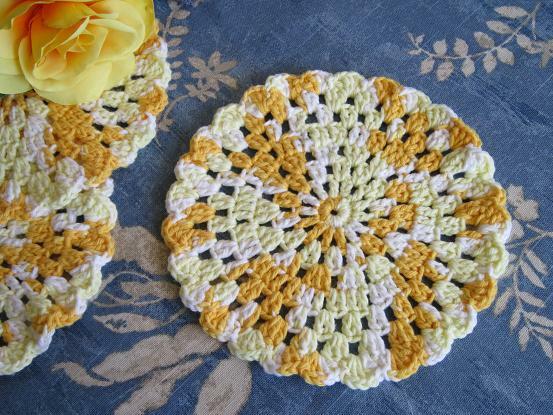 It’s a simple pattern with a pretty edges and you can mix and match the colors to make a set. 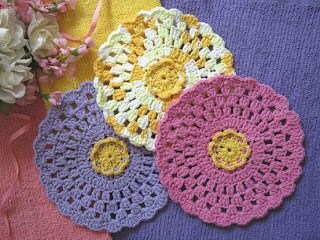 These round dishcloths are really pretty, with a lacey sunshine feel to them. They work up really quickly so they’re the perfect Netflix project!